SHE is a series of constructed images that visually translate stories of the contemporary experience of womanhood as told by real women. 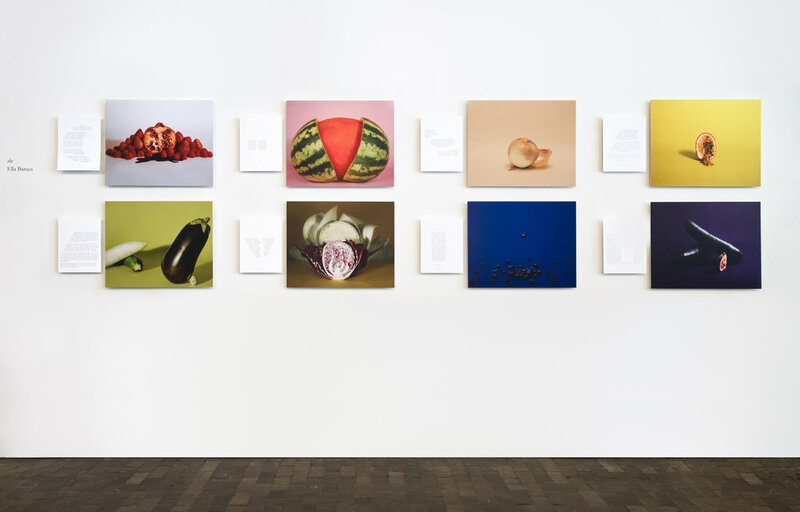 The use of organic matter in still-life compositions replaces the use of the female body as a vessel for meaning, thus focusing attention on the experiences of women instead of their bodies. The emphasis on the stories works in part to engage the viewer in an exercise of empathy as opposed to judgement. EACH STORY you read here was submitted by a woman in response to the question: how has the world shaped your understanding of womanhood? Some stories are sensitive in nature and could be possible triggers for those who have suffered from such challenges in the past. It is not my intention to paint a positive or negative image of contemporary womanhood; it is instead my hope to show an honest and undiluted portion of the experience of those who experience womanhood in its many and varied forms. THE BOOK of the series, SHE, is in its second phase of production. The book features all 25 images of the series in addition to a handful of supplementary written pieces by contributing female writers. I am currently working on collecting funds to make a first edition available for sale. If you have any leads or suggestions on funding, please reach out! PRINTS are available for purchase in limited editions! Prints of each work will be sold in two parts consisting of the story and its accompanying photograph. The price for purchase of each print or series of 10 in total will depend on the print size. Solo photographs are also available in prints with a complimentary copy of the story for reference. Postcards are also available for a limited time. Contact through email for more information. All images were shot on large format analog film.